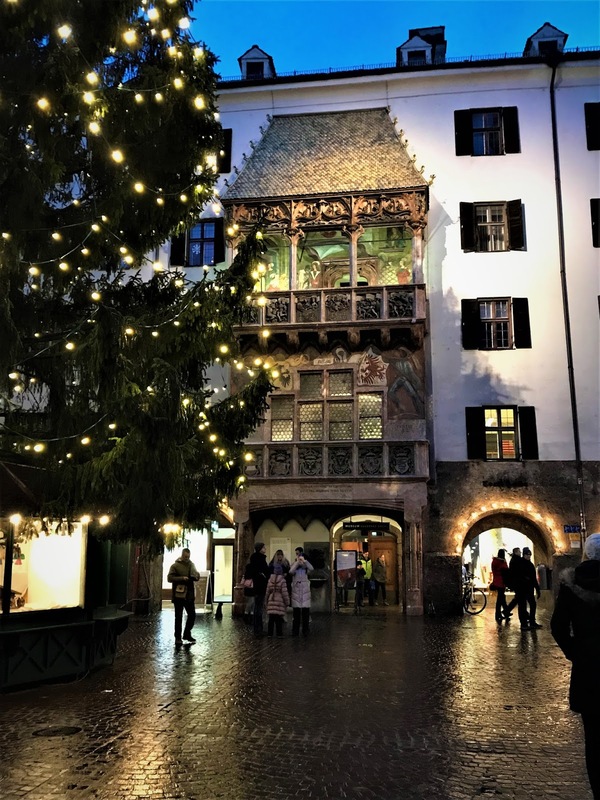 Innsbruck ~ Magical City and Dream Land! Innsbruck is the capital city of the Tyrol, in Western Austria and is scenically shadowed by two magnificent mountain chains. 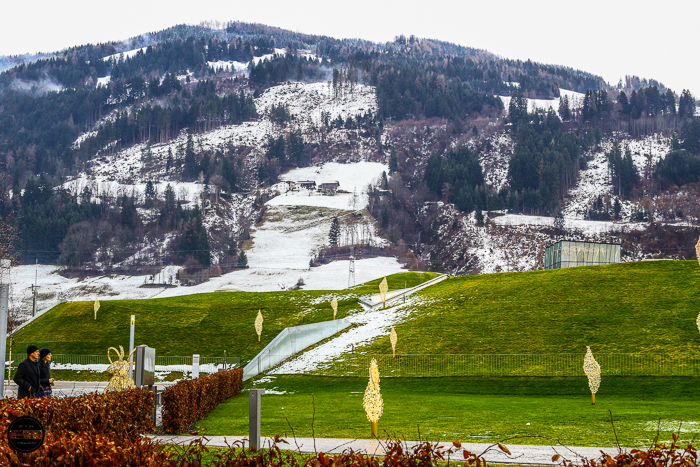 It is known internationally as a winter sports hub, but we would be keeping our feet firmly on the ground! Strictly sightseeing only. A simple train journey from Vienna would take us direct to Innsbruck station. 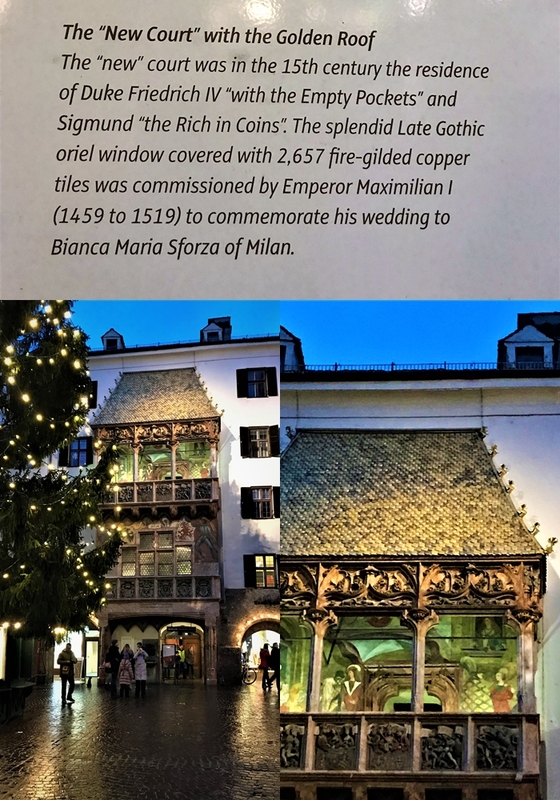 We were visiting Innsbruck on the third day of our holiday (day 1 - Vienna, day 2 - Salzburg) to see the Swarovski world and spend our spare time in the Old Town. We sat in 1st class, which I think is worth the money compared to getting a 1st class ticket in the UK for train travel. The view from the train was mesmerising as we coasted through Austria. This is my and my mum's 5th time visiting the Alps but the novelty of them just doesn't wear off! As we arrived in Innsbruck, we spent some time at the OBB lounge at the station before making our way to Swarovski world. From Innsbruck main station (Hbf), we could take either the S1 or S2 train towards Rum b. Innsbruck station. 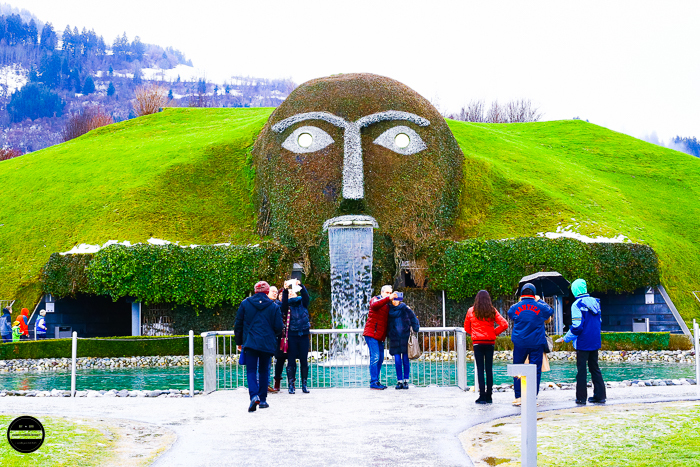 From there, we could take the 4123 bus to Swarovski world. For this train journey (between Innsbruck Hbf and Rum b.) and bus, the fare was collectively around £5/10 per person. 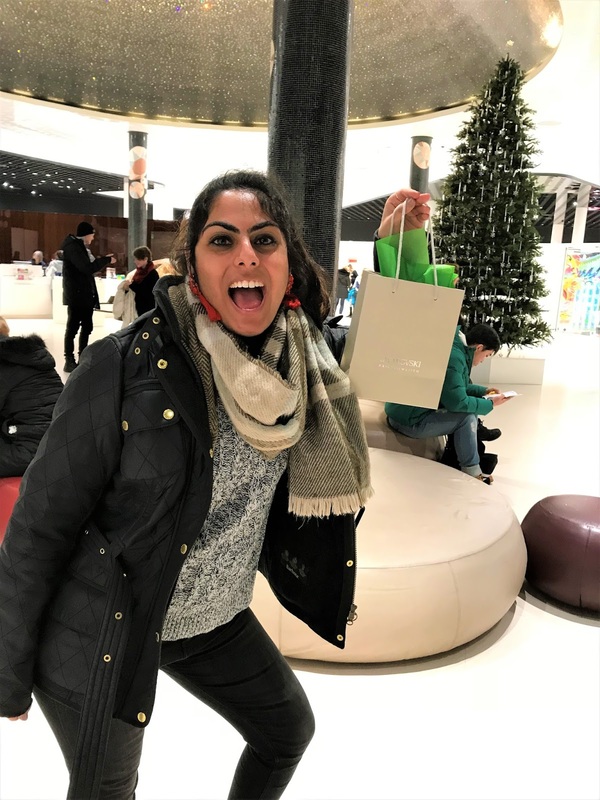 I had once seen a picture of the giant green man when I was very young in a travel magazine and have always wanted to go since! Finally, I was fulfilling this wish. The weather was cold, there was snow, raining and almost clouds were touching our face but did not dampen our spirits at all. Somehow the cold actually felt good and added to the effect! Surrounded by the mountains, the bus journey was breathtaking. 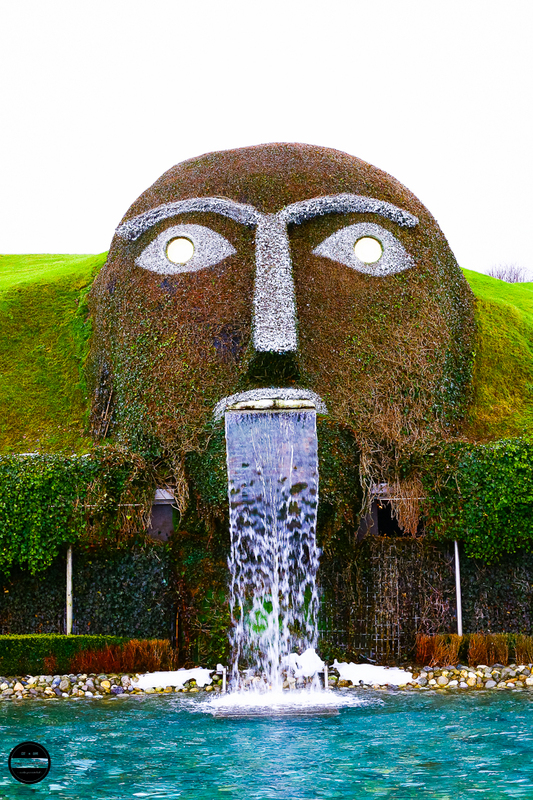 Swarovski world itself was dazzling. The landscape outside was a hint to the splendour inside. We slowly made our way through the various exhibits, all showcasing Swarovski crystals. A nice surprise was the exhibit by Manish Arora and we were entertained with some Indian bhangra music! If you asked me, I couldn't tell you which exhibit I liked the most, each had its own charm. 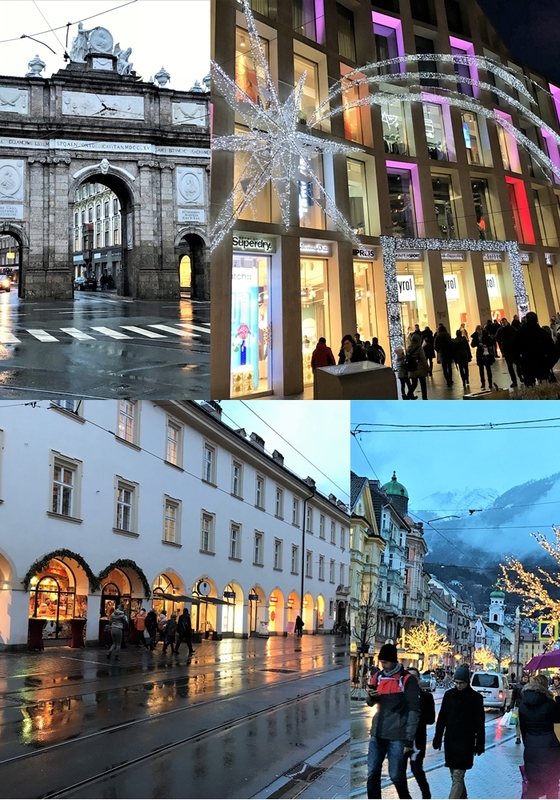 Once we had shopped around the Swarovski store (souvenirs to take home right ;)), it was time to make our way to Innsbruck Old Town. 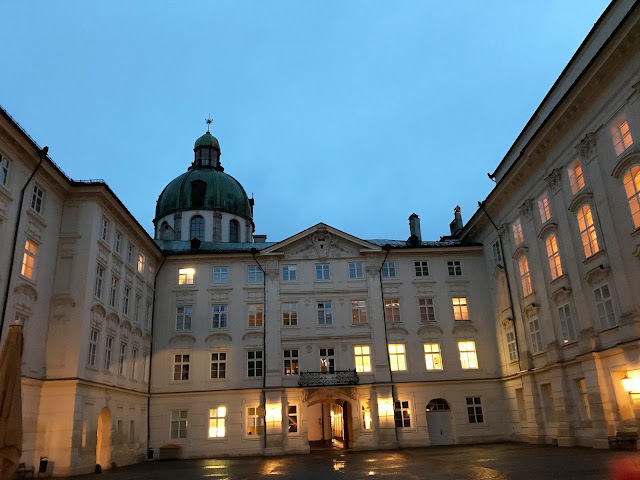 From the station, we walked along Maria-Theresien-Strasse and up to the Golden Roof - only a 10 minutes walk. Who knew that I'd go to watch a Bollywood film - Tiger Zinda Hai, just 2 weeks later and see them in Innsbruck by the very same spot! From there Hofburg Imperial Palace. 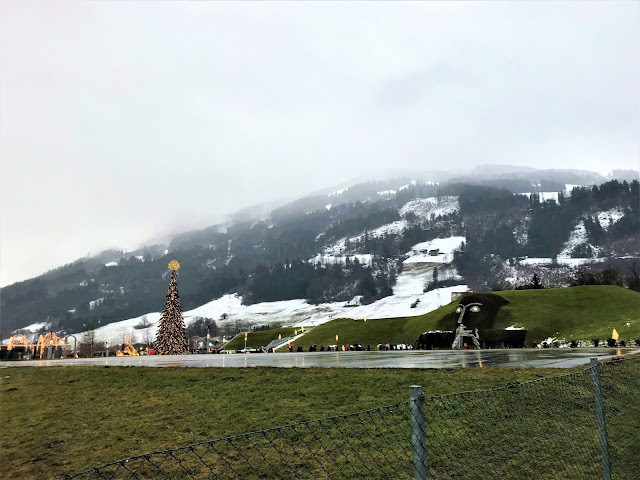 The clouds were a little low making it difficult to see the majesty of the mountain peaks that watched over Innsbruck but that didn't take away any of the allure of the city. The bustling street was gorgeously lit up with rows of shops and beautifully designed street lights. This was sophistication huddled by nature. This place certainly looks gorgeous and so beautiful. I would love to have the opportunity to travel to Europe and see these amazing sights. 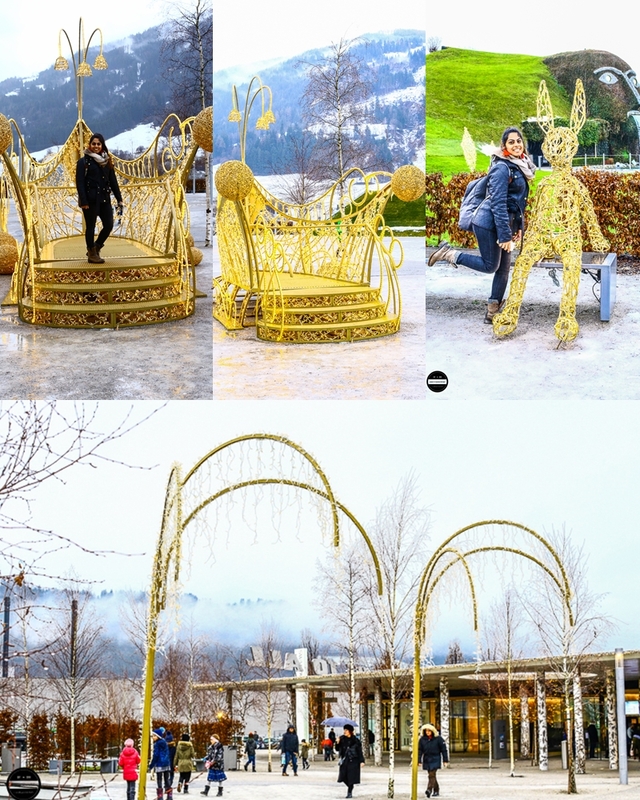 Such a beautiful place and I would not be able to move away from all the Swarovski crystals. I would love to travel to Austria.